A relook at items of our past, focusing on the good and the bad. To show where we have been and where we are going. Next up, a classic from the 90s twisted and remade into a fresh new game. It was a bit nostagic looking back but the game’s future looks better than ever. Sonic is the original enemy of Mario – when Nintendo and Sega were keen rivals in the console era at the time. Sonic’s adventures were one of the original games, we played and enjoyed – this latest one aimed to show off the past of the game and the future. 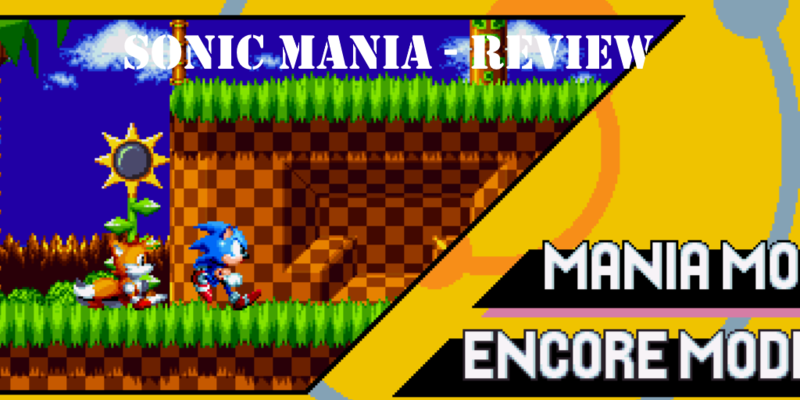 “Sonic Mania is a all-new adventure with Sonic, Tails, and Knuckles. Full of Unique Bosses, rolling 2D Landscapes, and fun classic gameplay. “ – Steam Description. Classic Sonic Gameplay. Need I say more. You can play as Sonic, Tails, Knuckles or have the classic Sonic 2 combo of Sonic and a computer Tails running after you. Levels are classics with a twist. If you remember the old levels, you will be reminiscing through each of the levels – however the remixes will get you thinking back. It wont be in the same order as you remember. We found ourselves trying to remember bits and pieces but the ideal route through the levels had changed. This kept us playing as you cannot retread the same things in the same ways all the time. A game that I spent a couple of evenings revisiting and worth the price for me. This is a game where it will be good if you played the original trilogy. It’s the sonic of old and I am glad he is back.